2014: Spotlight on Aimee Lehr! Aimee Lehr is the Head Age Group Coach at AquaSol. Aimee Lehr has over 20 years of coaching experience at the recreational, high school, and USS level. Referred to as one of the top age group swim coaches in the area for her technical stroke development, Coach Aimee shares her experience and knowledge of swimming by leading numerous stroke clinics and private coaching. A former Stanford Varsity swimmer and Masters National Champion, she finds tremendous satisfaction in working with swimmers of all ages to help them become proficient swimmers. 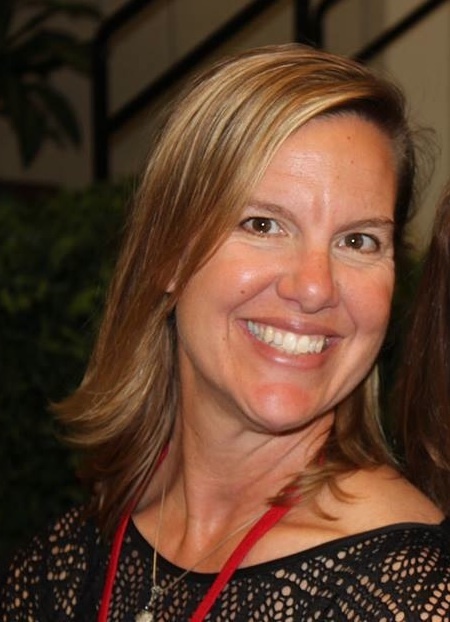 After graduating from Stanford University where she was a member of the Women’s Varsity Swim Team, Coach Lehr was the head coach of Stanford Covington Racing Aquatics. Very interested in the technical details of swimming strokes, she enjoys working with swimmers on their technique and this is a cornerstone of her coaching philosophy. 2014: Spotlight on Abi Liu!